Ryota Sakakura, another Japanese volunteer from Cross Fields, has finished his 9-month term at Fargreen. He was so unique and special, which intrigued one of our friends, Thuan Sarzynski, who couldn’t help getting to know more about him by an interview. In the eyes of anyone outside of Fargreen, “Ryota is a crazy Japanese guy who came to volunteer in Vietnam and grow mushrooms.”, Thuan said. But he is more than that. What was your motivation to come to Vietnam? The work in Japan can be pretty boring as everybody must follow the boss without discussion. I am a bit crazy, I never follow common sense, so I joined the Corporate volunteering program proposed by my company. As for the country, I had many choices. First, I wanted to go to volunteer for a company in the US. But my advisor at Cross Fields [the organization which sends Japanese employees to social enterprises across Asia] recommended me to go to emerging countries. I wanted to try something new and go into marketing to learn how to communicate with customers and set prices. Since my graduation, seven years ago, I have been working for the same company since I graduated and I have never changed my job. My company has a good domestic market in Japan and it wants to expand worldwide especially in Asia Pacific. I decided to join the Cross Fields program to be a pioneer and go abroad. I want to do business around the world and open new markets. Then I chose the industry, here again, there was many possibilities: agriculture, logistics, sport, trading… I chose agriculture as I had experience to work with food as a chef when I was a student. Then depending on their partners, Cross Fields chose a company. And that’s how I got an interview with Ms.Trang, Fargreen CEO. What do you like about Fargreen? Fargreen is innovative and unique. We are pioneer and no one can imitate us. Fargreen ways of producing food is attractive for Japanese people. I am 100% sure that Fargreen would have a huge success on the Japanese market. Their business model is attractive because it is sustainable. It does not only think about money and sales but also about the environment and ecosystem. Fargreen is a step ahead of developed countries, it doesn’t care only for profit but also for impact. To be honest, I didn’t trust this kind of topic when I was in Japan. I thought it was only about pretending to be gentle and nice to make profit. But I was wrong, Fargreen concept is really what we need for a sustainable food production in the future. Our partners and customers agreed with that and joined the movement. What did you do during your 9 months at Fargreen? In Fargreen, I was the commercial director. I held and operated event to promote mushrooms produced by Fargreen. I created and maintained good relationship with partners. I calculated profit and cost. I created two new partnerships. Fargreen’s mushrooms are very good, not only the fresh, but also the dried ones. However, not many people in Vietnam know about the dried products. It is really a pity. So I thought it would be great if I could create something with dried mushrooms so that people could understand how tasty they were. I cooked a kind of mushroom chicken soup, which we call “Mỹ nhân soup” (“Beauty soup”) at Ecopark weekend market to advertise our products. People tried the soup, they called their friends and families to come and try, and then they bought a lot of mushrooms. 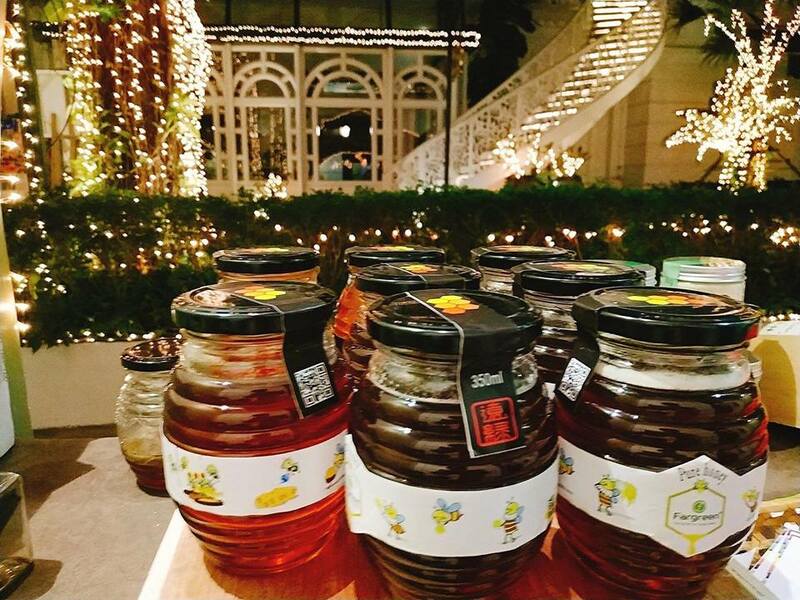 I also designed packaging for our new products like honey, honeycomb, mixed dried mushroom, and gift-set for Tet market at our hotel partner, the Metropole Hanoi. You can see, this is my design! What is you best memory from your time working with Fargreen? Having lunch with farmers. Sharing tea and smoking this kind of huge bamboo tube pipe. It is a priceless experience! Now, Ryota is not just a Japanese who came to Fargreen as a volunteer, he has become part of Fargreen, a member of Fargreen family. Please come back Vietnam when you have chance, Ryota. You are always welcome home!